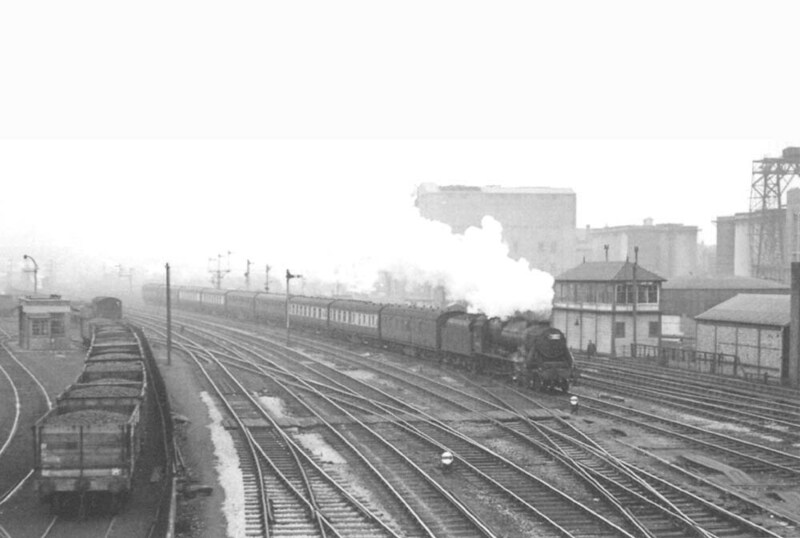 Ex-LMS 4-6-0 Black Five No 44745 passes the signal box at Saltley junction on a cross country service from Bristol to Sheffield via New Street and Derby on 9th April 1958. Built at Crewe works in July 1948, No 44745 had been allocated to Bristol Barrow Road shed from July 1949 to May 1957. After its stint at 17A Derby shed it was allocated to Liverpool and was later based at 8M Southport shed from where it was withdrawn during October 1964.